I receive weekly reminders of my linguistic ignorance whenever I read anything by authors fluent in Latin. How could I not, whenever Clive James starts to pontificate on the greatness of, say, Tacitus? Fantastic! So, which translation should I read? As with Latin classics, so with other Indo-European language texts, including Beowulf, originally in Old English, Homer’s Iliad and Odyssey, in Classical Greek, and the ancient Vedic hymns of the Rigveda, in Sanskrit. 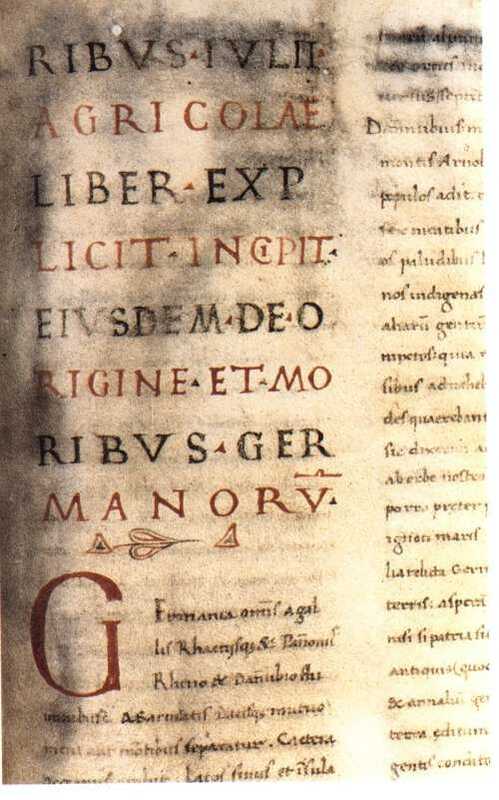 Best of all, lessons are based on seminal texts from each language: Latin lessons rely on Tacitus’ Germania, Livy’s History of Rome, and Virgil’s Aeneid, while Homer, Hesiod’s Works and Days, and Plato’s Republic feature prominently in the Classical Greek classes. Students progress through each lesson by reading the original passages, and using the provided guides to translate them to English. We’ll be adding these to our growing list of Free Language Lessons (and our list of Free Online Courses), where you can learn over 46 languages, from Arabic to Yiddish. Note: These links will direct you to pages formatted in Unicode 2. If you’re having trouble reading the texts, head to the Early Indo-European Online lessons site and choose a different encoding in the sidebar. Laura, do you know any good video or website for Ancient Greek? Thanks Laura, we added the Latin Lessons to our big list of Free Language Lessons. If you know of any other great resources, definitely let us know! Thanks, that’s great stuff. Does anybody know a good Sanskrit dictionary? Pasha, it depends on what your needs are. For user-friendliness for someone coming from one of the other classical European languages, I’d go with Monier-Williams. Macdonnell is also not bad, but it makes you think a little harder (prefixed verbs, for instance, are defined under the unprefixed, root form of the verb). Michelle, these texts have the drawback of being sometimes a little thick to get through at first reading, but Textkit (http://www.textkit.com/) has pulled together many public-domain grammars and elementary methods of both Ancient Greek and Latin. It’s a pity, that old Syriac is not in the list. I’m very interested in learning old languages. I am very interested in gaining a level of understanding and proficiency in Old English because much of my current self research is based on the Anglo-Saxon period from the time of Alfred the Great through Athelstan. I would like to know about the course online at it’s associated costs. Thank You. VERY NICE TO KNOW AND HOPE TO BE A PROUD STUDENT ONEDAY….. Many thanks for your help and reply in advance. Hi and thanks for your great article. I was looking up the meaning of “infinite” in ancient languages but wasn’t so successful duo to lack of resources and dictionarues.can you tell me the translation of “infinite” in all the ancient languages if possible? If you’re a reader, please tell me the translation of “infinite” in ancient languages if you know. I would appreciate a simple translation of this : Nassico abou. ….it is extremely important to me. Please somebody help me with that.